You may have read in previous posts, but, we are getting a puppy!! This is a new step in my life, not only will I be responsible for myself, but a little dog too! I know a lot of my readers have a dog, so I am all ears when it comes to listening to your advice. I have started making a list of all the things we need to get, different vets to look in to, the best ways to train, etc…it is quite extensive and a lot of work, but I don't think I have been this excited in a very long time! I already know this little puppy will be spoiled, I walked through a pet store the other day and saw that Martha Stewart had an animal line (of course, I should've known). Anyways, I saw the cutest collar…with a bowtie on it. I knew instantly that our little guy was going to wear that for family pictures. Yes, I will be that dog lady…the one who gets family photos taken and you can expect to see it on the Christmas card this year. Although our pup will be spoiled and loved unconditionally, I plan to have a very well-trained pup (I say that now…). Okay puppy parents, as I wait and prepare for the arrival of this little cutie, give me your one best piece of advice you have when it comes to your own pets! What a cute pups- that face is adorable! 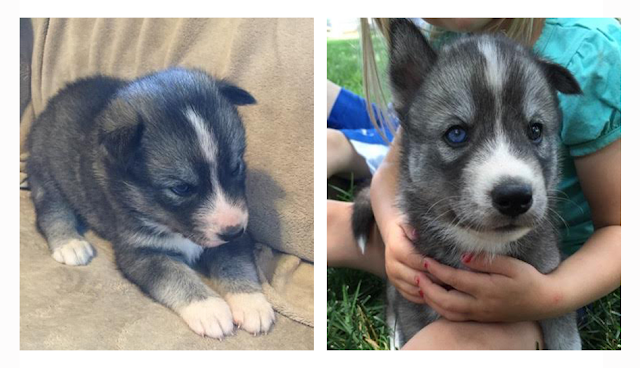 We are in the process of getting our first dog (although I have always had dogs growing up). One thing my parents always did with our dogs when they were puppies, is make sure to put your hand in their food bowl while they're eating. Starting them young with that can usually stop any potential food aggression. Also Cesar Milan is awesome. I read a ton of his stuff and love his shows!